This recessed bathroom cabinet is designed for building into the wall fitting. At 115mm deep, this slimline illuminated mirror cabinet is recessed in the wall by 47mm mm leaving 68mm proud of flush. 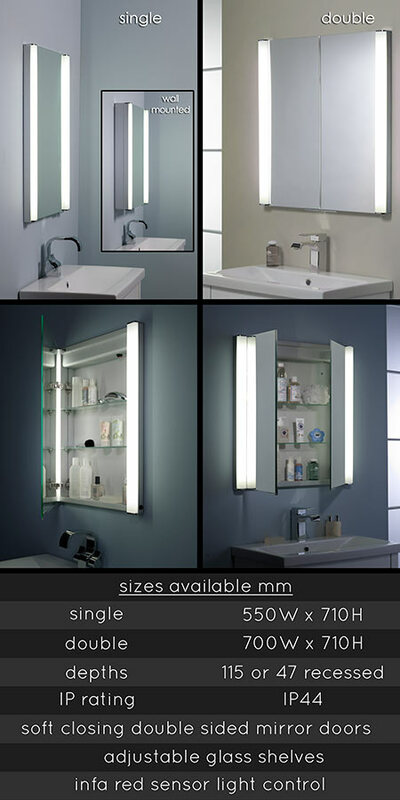 Each in wall cabinet is supplied with 2 low energy lights which are IP rated for safe use within the bathroom. * Recessed into the wall. * Can be surface mounted.